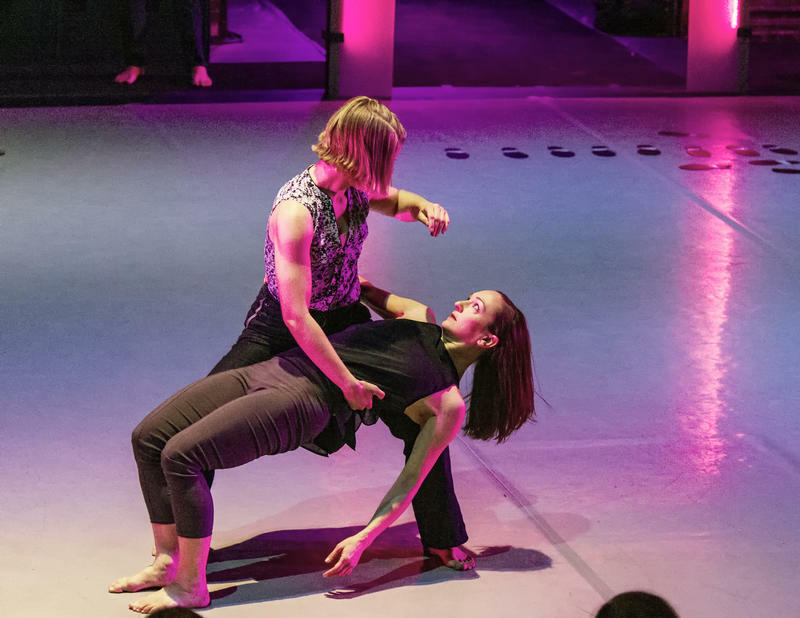 Attack Theatre company dancers Kaitlin Dann and Ashley Williams perform "In Defense of Gravity," a show based on the poetry of former Allegheny County cop Jimmy Cvetic, this weekend. 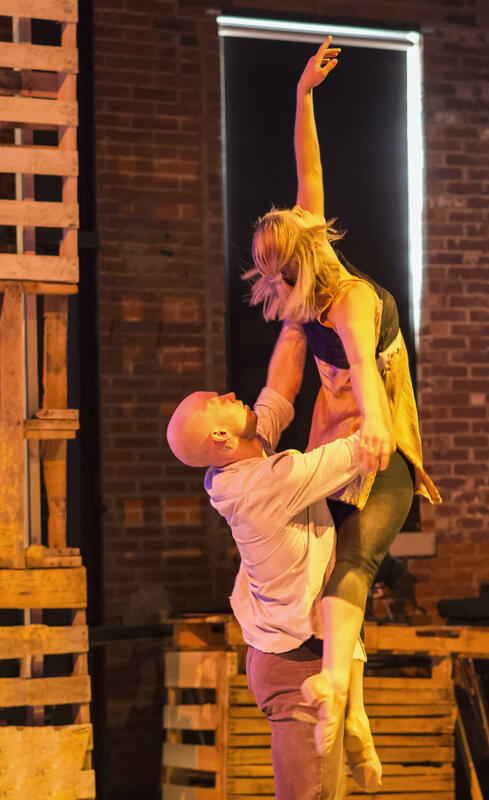 The poetry of former cop Jimmy Cvetic comes to life in Attack Theatre's production of "In Defense of Gravity," a collaboration of dance and music premiering this weekend. Jimmy Cvetic’s poetry is rough, dark and punchy. He writes about his more than 30 years on the Allegheny County Police force, many as a homicide detective, and about his time as a boxing coach. but in time perhaps you will come to terms with honor. the irony of the lie to call it fate. keep them, they belong to you. Cvetic’s work has been adapted into a collaboration between Attack Theatre dancers and musicians called “In Defense of Gravity.” Attack Theatre Artistic Director Peter Kope said gravity as a central theme came from the tough, but hopeful messages that pervade Cvetic’s poetry. Attack Theatre company dancers Dane Toney and Kaitlin Dann rehearse part of "In Defense of Gravity," a show combining the poetry of Pittsburgher Jimmy Cvetic with original compositions and choreography. Kope said the choreography reflects just that: dancers struggle against the forces that pull them down, they drop to the ground, and then they find their way upright again. It’s something he said everyone has experienced. Cvetic’s raw language isn’t conventionally artistic, which Kope said can make it hard to stage. Cvetic writes openly about heartbreak and grief, which is interpreted by the dancers and musicians. A live band scores the performance with a mix of classical, jazz, and original arrangements. Kope isn't a big poetry consumer and said preparing for the project was unlike past collaborations. Vocalist Anqwenique Wingfield adapts the poetry into original songs and said Cvetic’s work allows her to explore complex emotions onstage. Dancers Kaitlin Dann, Ashley Williams and Sarah Zielinski perform "In Defense of Gravity," a collaboration between Attack Theatre and musicians based on the poetry of Pittsburgher Jimmy Cvetic. Wingfield said Cvetic’s words reimagined into song and dance might seem strange, but the performers are faithful to the poetry’s blunt cadence. No matter where an audience member might be in life, she said, they can relate to the story. Jimmy Cvetic reads one of his poems that will be played during the performance of "In Defense of Gravity" by Attack Theatre dancers and musicians. Kope and Wingfield met several years ago, and said they were waiting for the right project to collaborate. They said Cvetic’s work felt like the perfect opportunity. Throughout the process, Cvetic has dropped by a few rehearsals and has been recorded reading his poetry for use during the performance. Attack Theatre’s “In Defense of Gravity” runs Dec. 1-3 at the company's performance space in the Strip District. Attack Theatre is sponsored by The Buhl Foundation and The Heinz Endowments, which are also sponsors of 90.5 WESA. It all started in 1971 when Jimmy Cvetic grabbed a 13-year-old boy for stealing tape decks out of cars. He didn’t arrest him and less than two years later the boy was dead from a drug overdose. Cvetic said the boy has always represented innocence to him. His response was to open a free boxing gym in downtown Pittsburgh. This is the fourth month Van-Cartier has spent time at the Carnegie Library of Pittsburgh’s North Side branch reading kids books about respect, self-confidence and being the person you want to be. On a sidewalk in the South Side, Aubrey Plesh is serving a hot, home-cooked meal off a folding table. It's covered with loaded mashed potatoes, chicken and gravy, and chicken marsala. More than a dozen people have showed up on this chilly Sunday night for the outdoor meal. They're often referred to in a way that Plesh rejects. 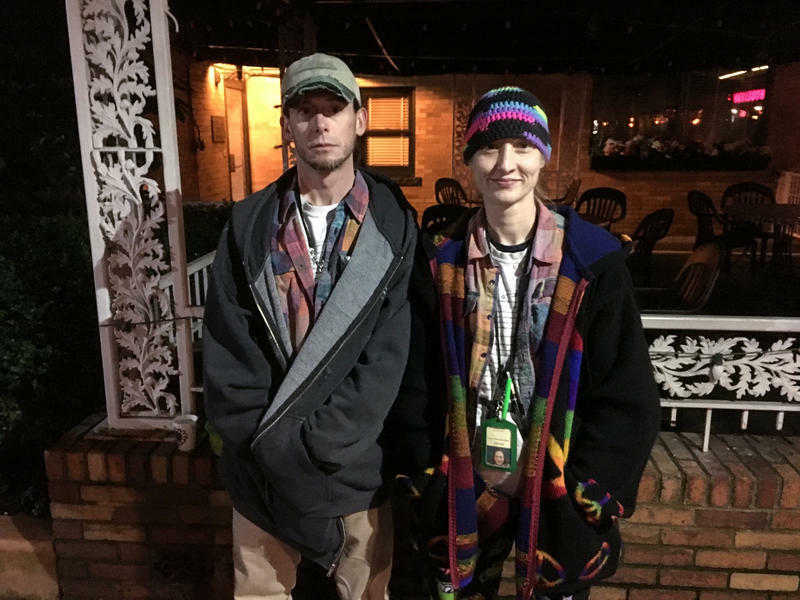 "Homelessness, or homeless, is a very confining term," said Plesh. She prefers to use a different term.